Welcome to the Puente Program! 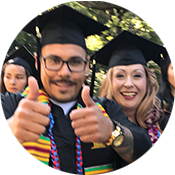 The Puente Project at Gavilan College is here to help you build the skills you need to succeed in college and in your future career. As part of an award-winning statewide program, we provide academic, counseling and mentoring services for educationally underrepresented students. 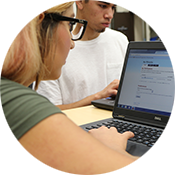 Once you enroll in the Puente program, you will work closely with your Counselor, English Instructor, and Mentor to prepare for transfer to a four-year college or university. Puente is open to all students. See the checklist below to apply, or stop by our office (in SS 106) to find out more. Puente students take two consecutive writing classes, English 250 (Practical Writing) and English 1A (Composition). These classes provide a supportive and stimulating environment that integrates Mexican American/Latino literature in combination with a variety of writing exercises. Puente students work closely with their Puente counselor to explore career options, develop an academic educational plan, and identify lifetime goals. Students visit University of California and California State University campuses and attend an annual Puente student transfer conference. Puente students also take Guidance 6 (Life Skills for Higher Education) and Guidance 1 (Self-Assessment and Career Development). 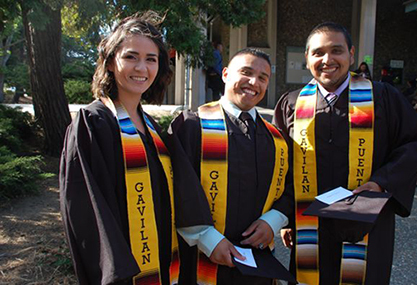 Each Puente student is matched with a mentor from the business or professional community. Mentors share with students their personal, academic, and career experiences, and provide a window into "real-life" work environments. The network of trained Puente mentors provides many resources for Puente students, their families, their colleges, and the community.